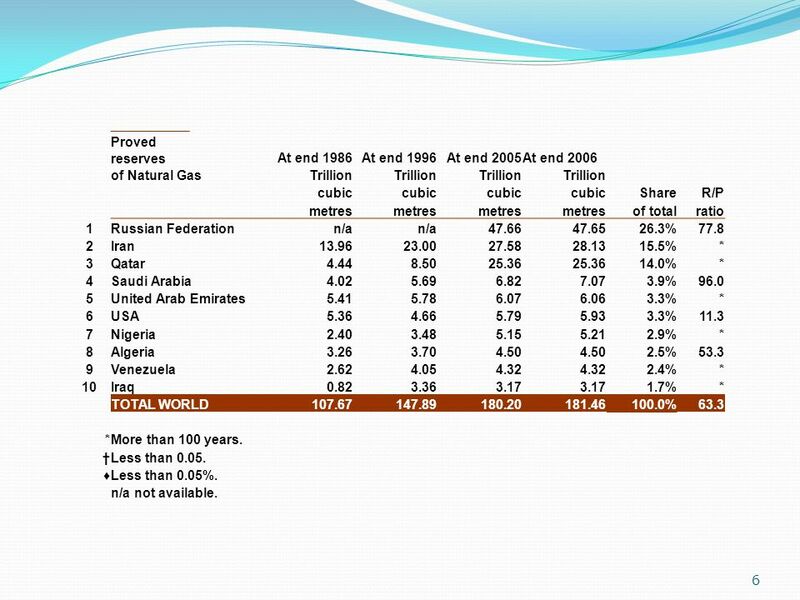 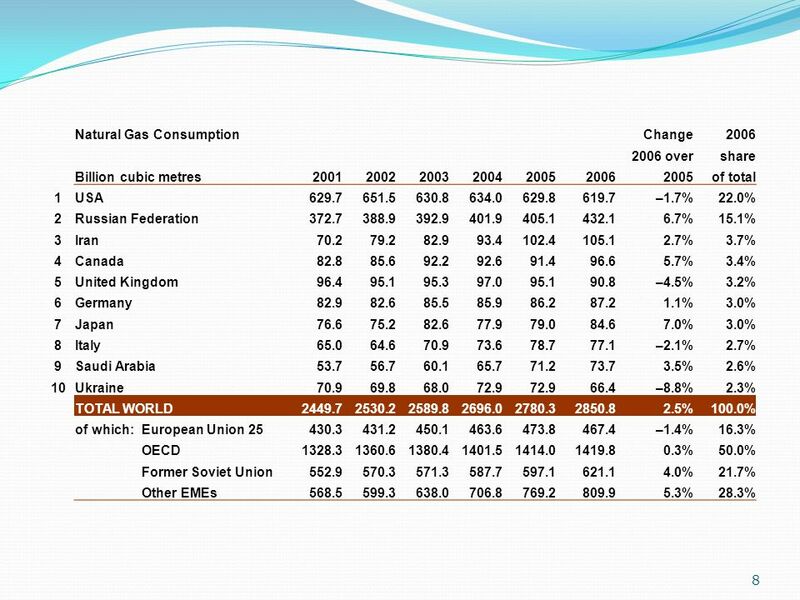 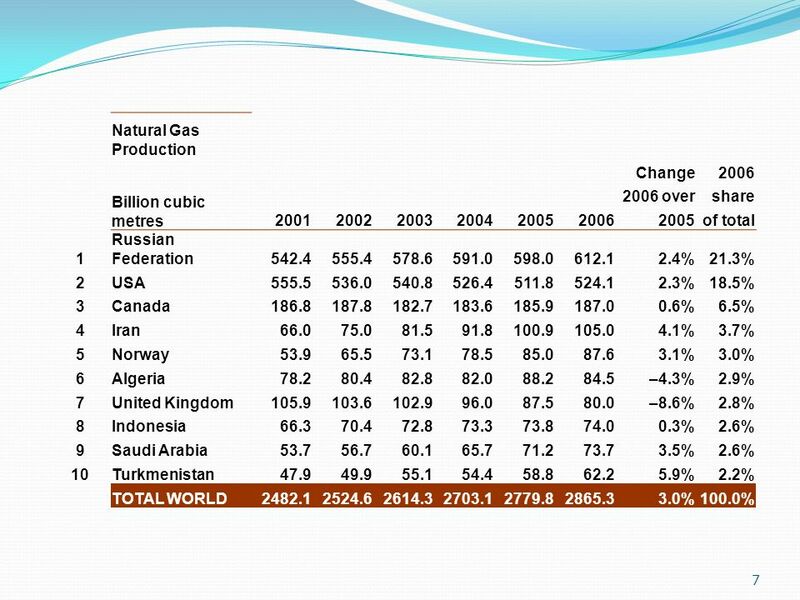 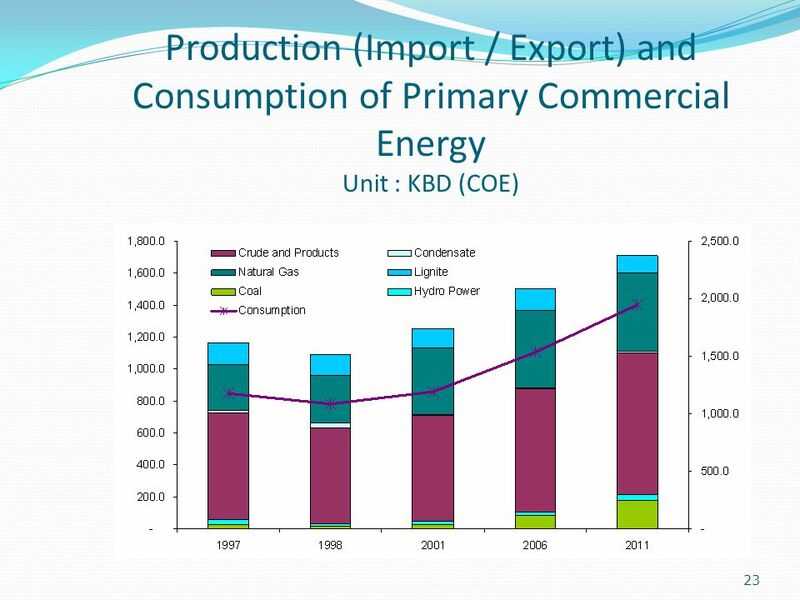 6 Proved reserves At end 1986 At end 1996 At end 2005 At end 2006 of Natural Gas Trillion cubic Share R/P metres of total ratio 1 Russian Federation n/a 47.66 47.65 26.3% 77.8 2 Iran 13.96 23.00 27.58 28.13 15.5% * 3 Qatar 4.44 8.50 25.36 14.0% 4 Saudi Arabia 4.02 5.69 6.82 7.07 3.9% 96.0 5 United Arab Emirates 5.41 5.78 6.07 6.06 3.3% 6 USA 5.36 4.66 5.79 5.93 11.3 7 Nigeria 2.40 3.48 5.15 5.21 2.9% 8 Algeria 3.26 3.70 4.50 2.5% 53.3 9 Venezuela 2.62 4.05 4.32 2.4% 10 Iraq 0.82 3.36 3.17 1.7% TOTAL WORLD 107.67 147.89 180.20 181.46 100.0% 63.3 More than 100 years. 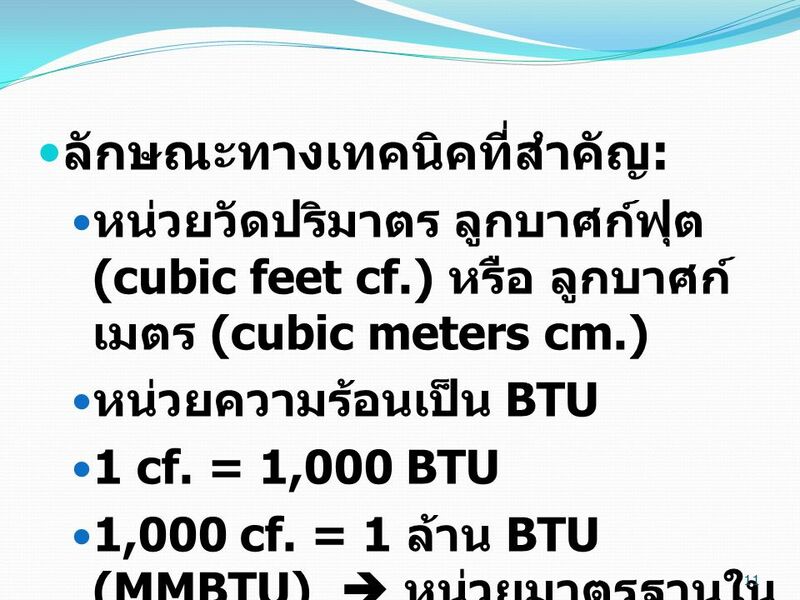 † Less than 0.05. 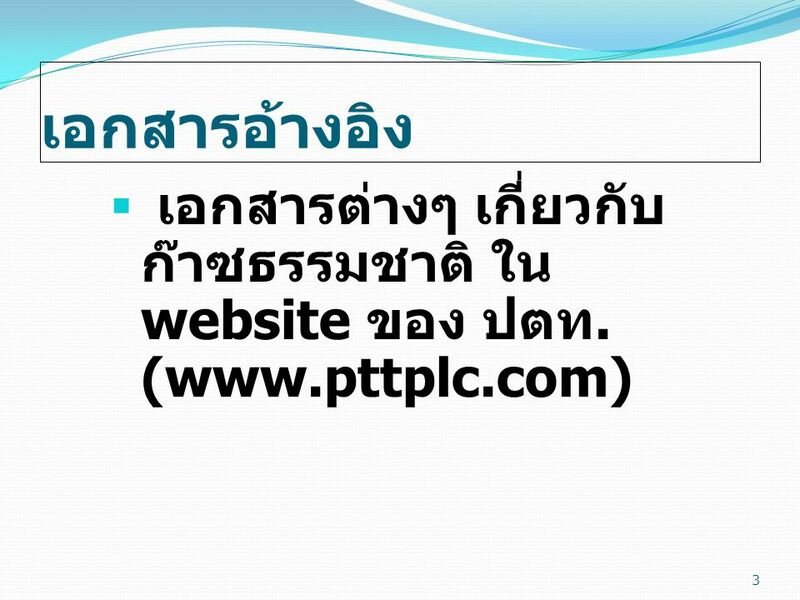 ♦ Less than 0.05%. 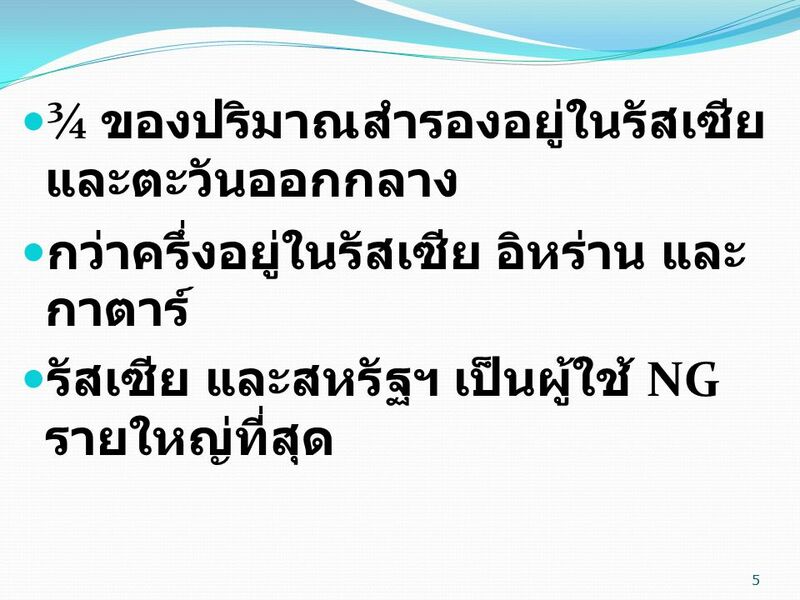 n/a not available. 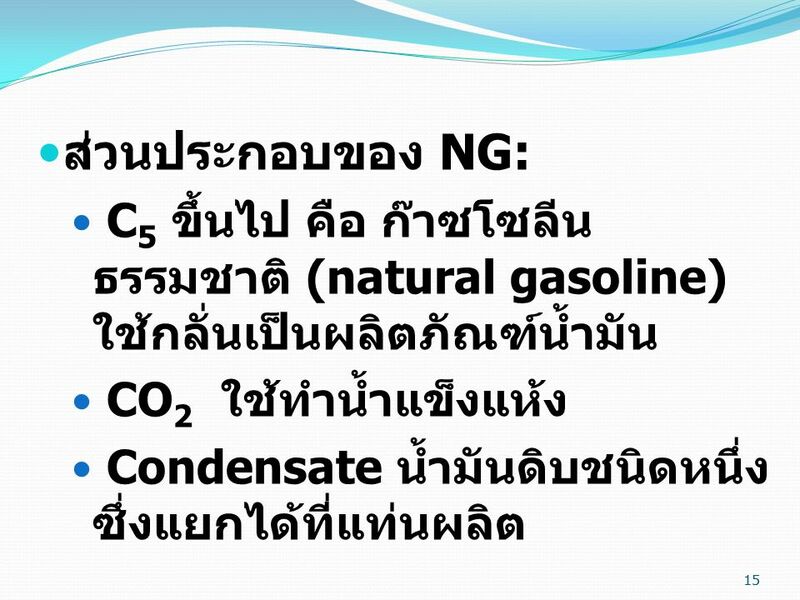 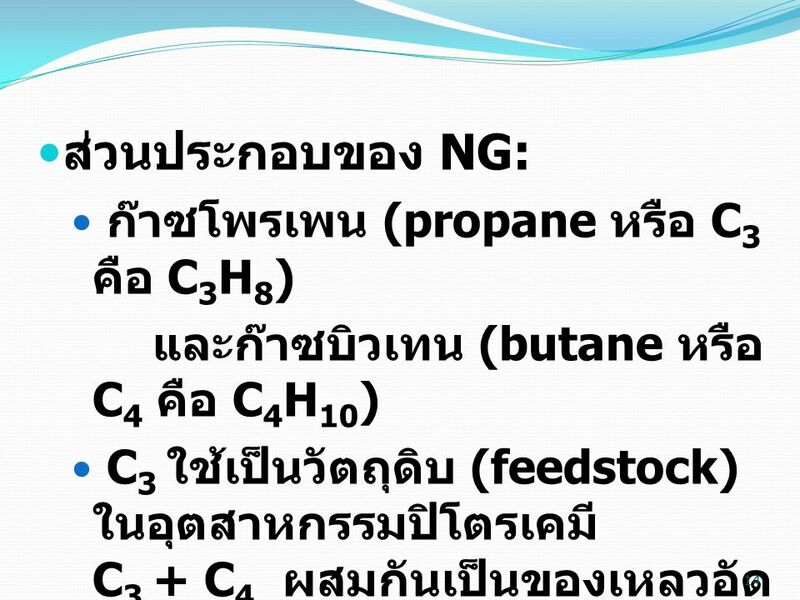 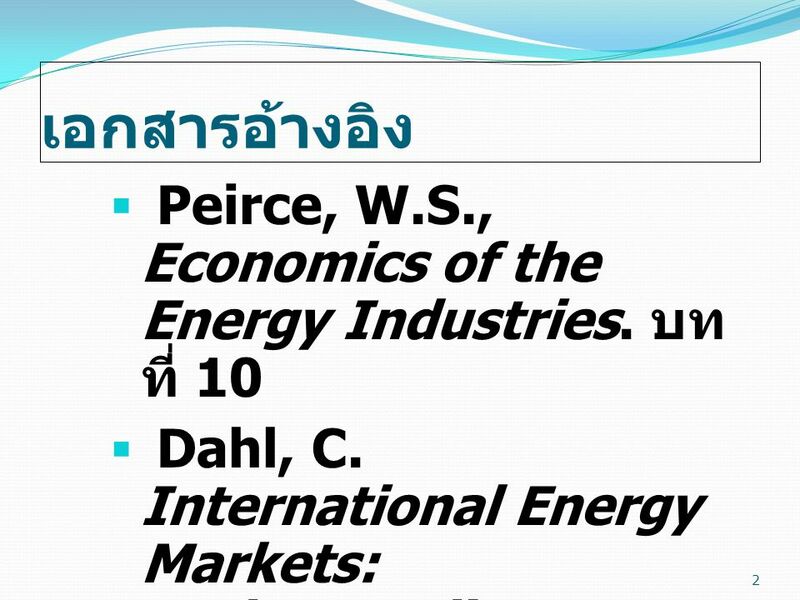 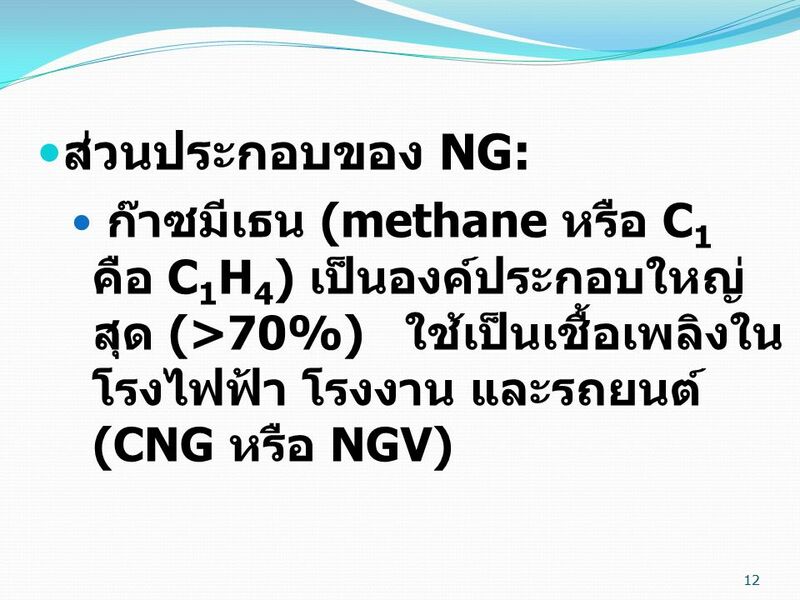 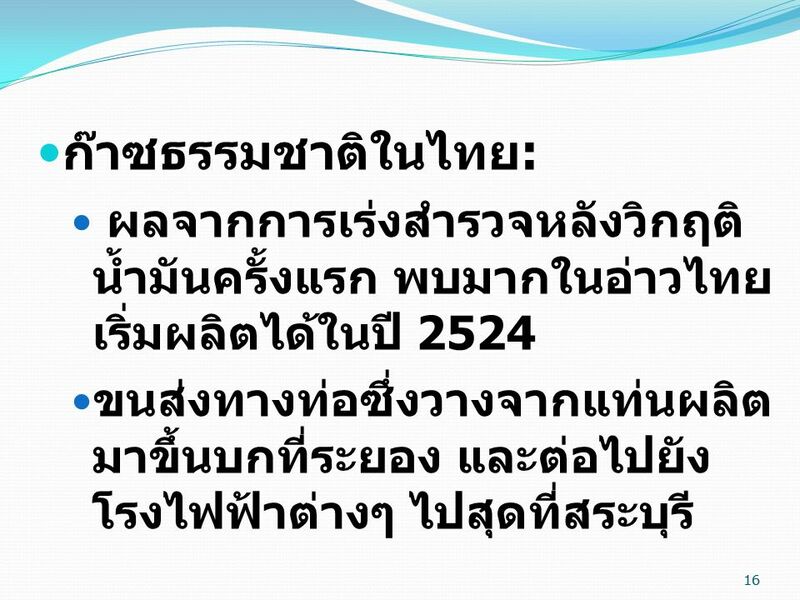 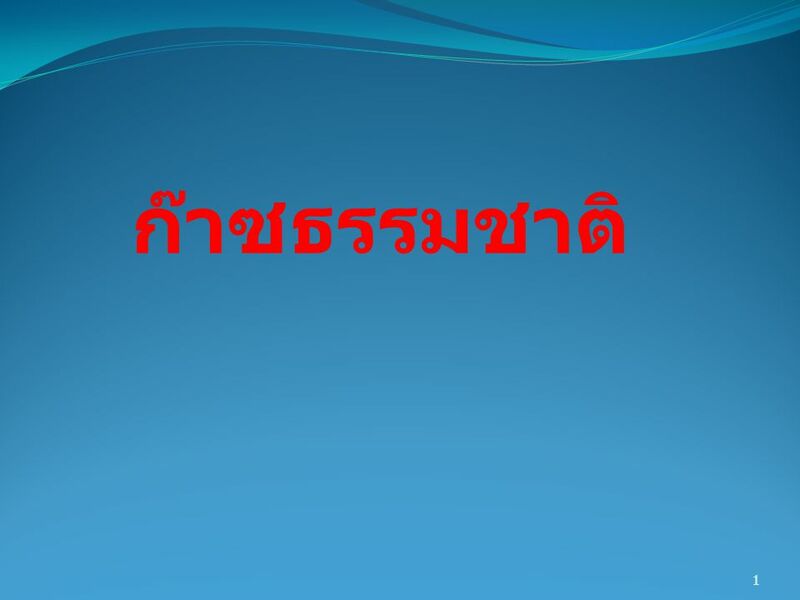 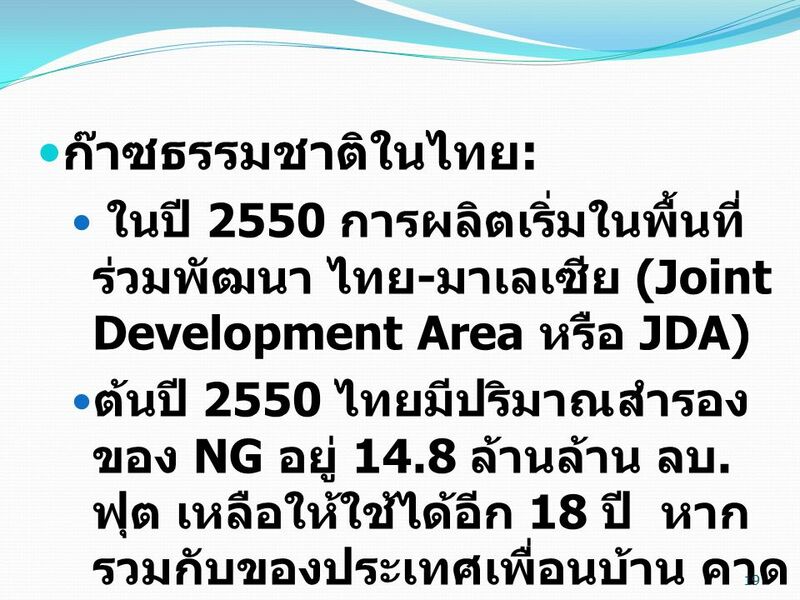 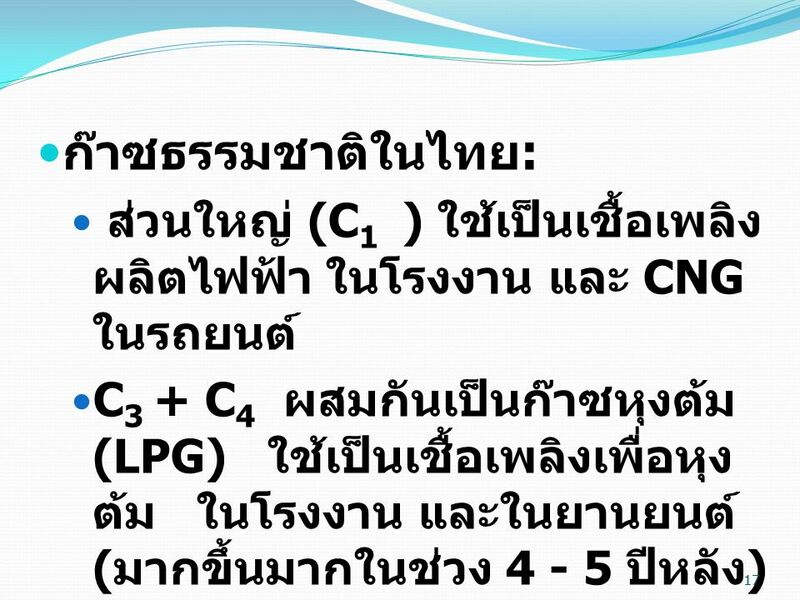 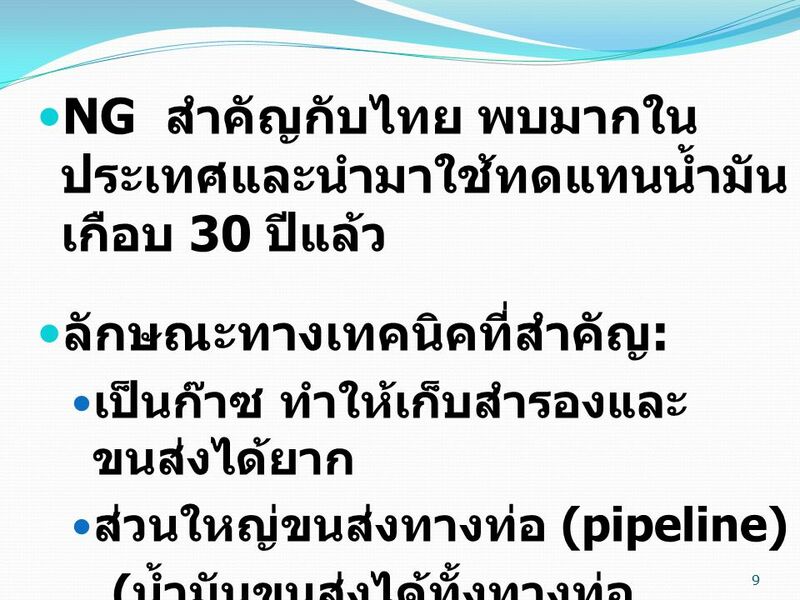 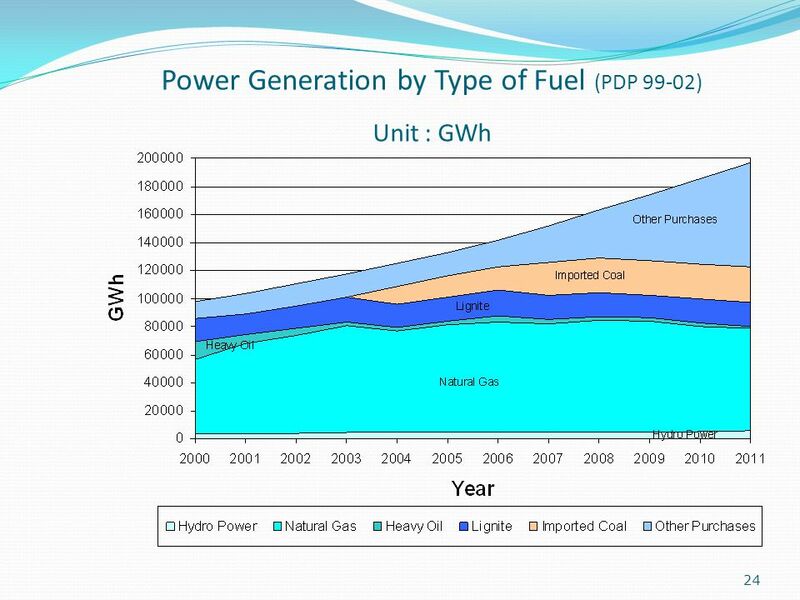 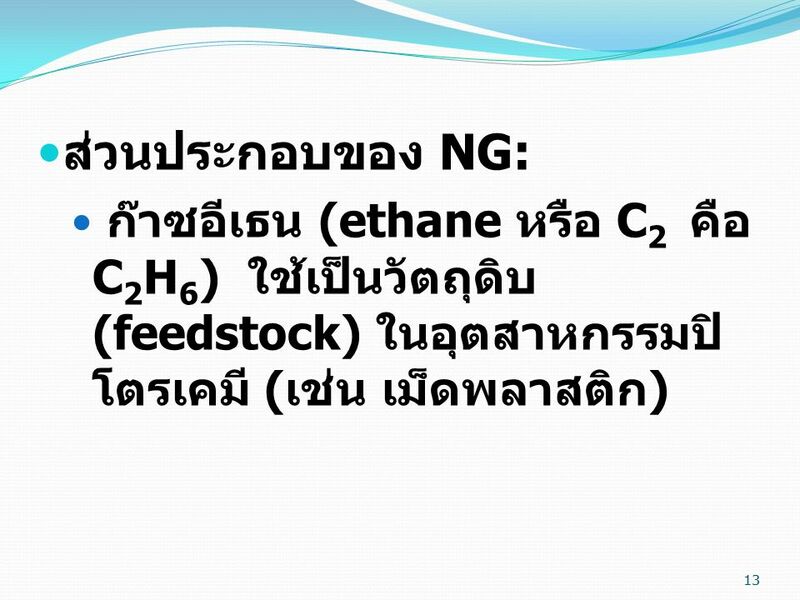 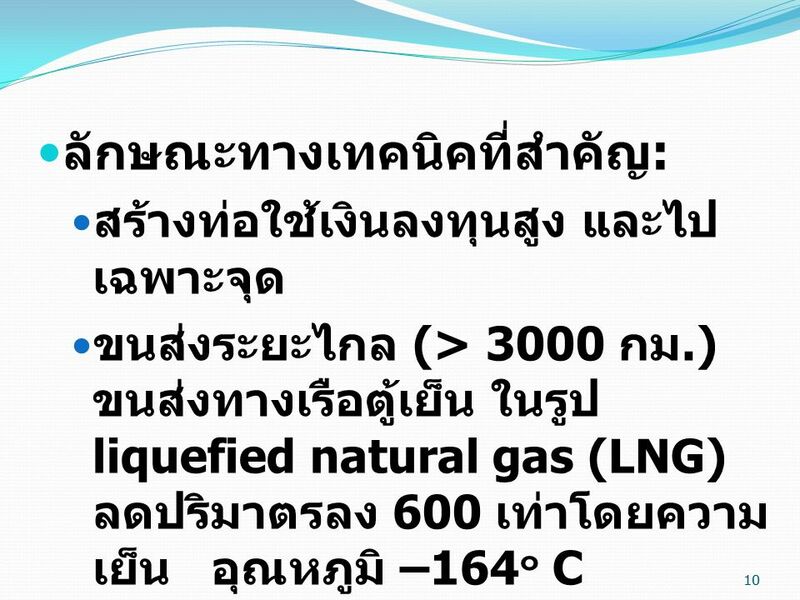 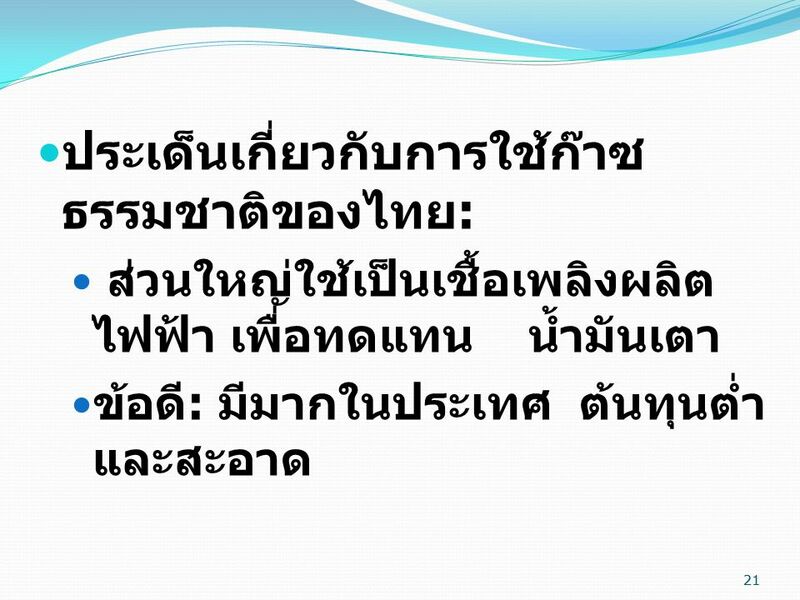 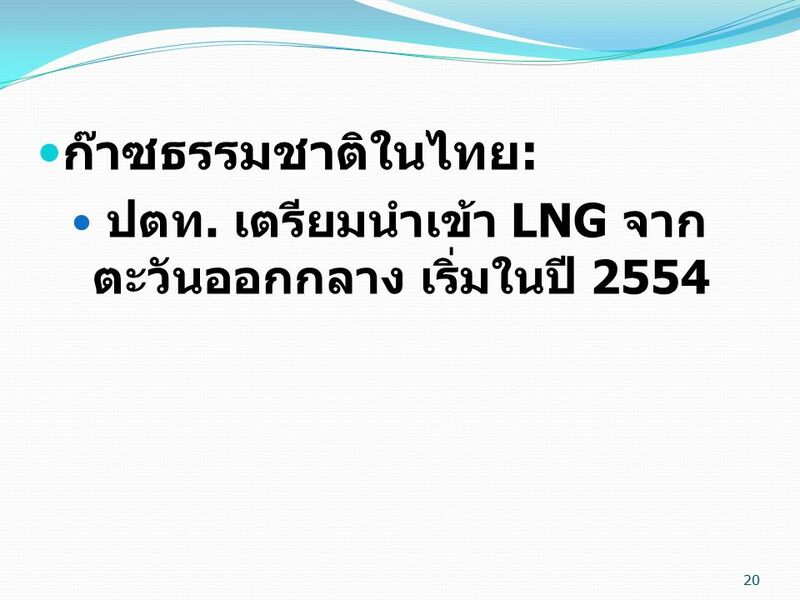 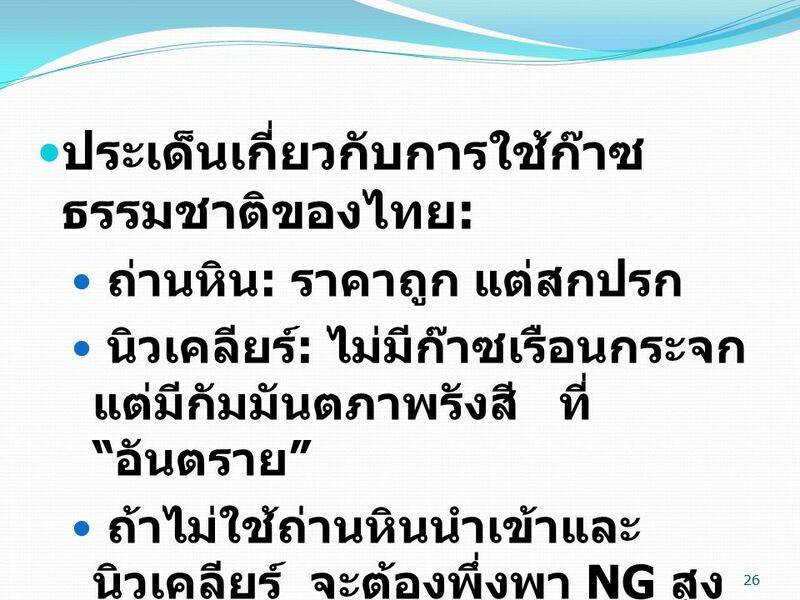 ดาวน์โหลด ppt ก๊าซธรรมชาติ 1 1.